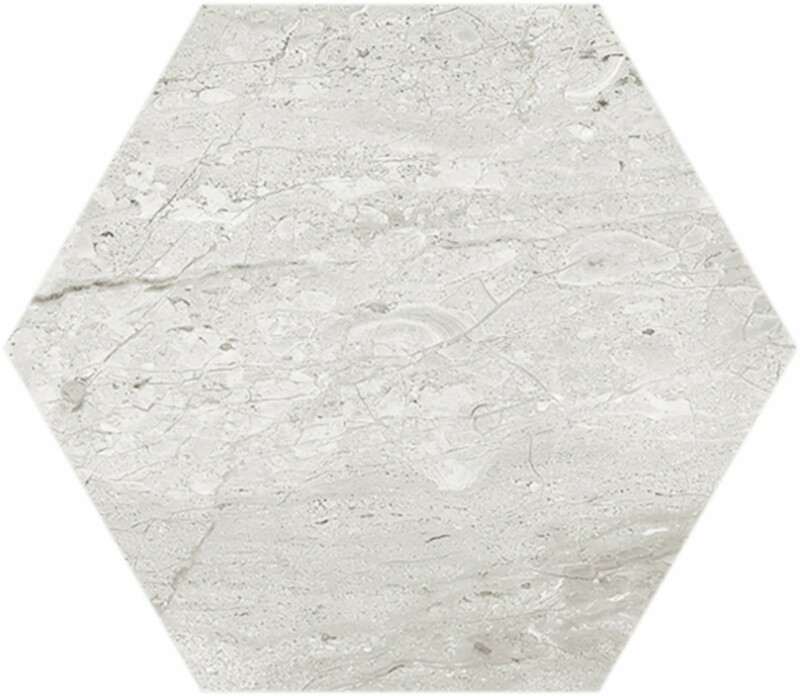 Hexagon Verona Grey is a hexagon shaped porcelain wall and floor tile. Ideal for any room of the house as these are incredibly versatile. Grey is a very effective base colour for any room as most other colours work well with it so it's easy to accessorize with. The subtle yet effective carrara marble patterning in this range is very unique. Hexagons are appearing in all types of decor including furniture, accessories and now surfaces. 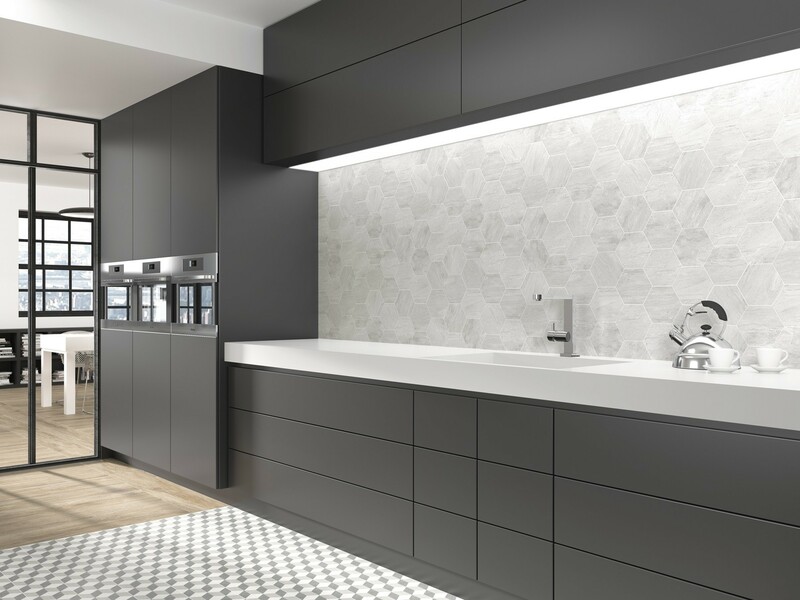 This stylish trend is here to stay and the Hexagon Verona are a stunning example. These tiles do not need to be sealed and are simple to clean and maintain. Also available is Hexagon Verona White.